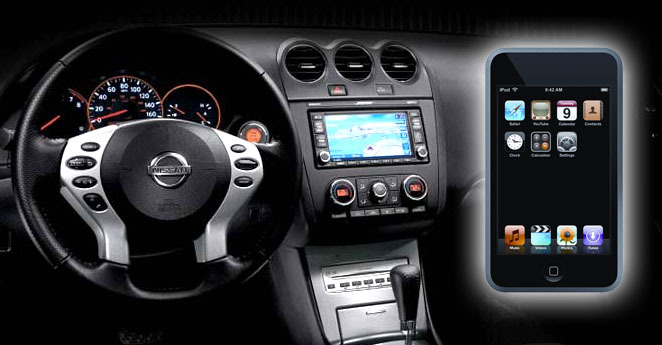 Movin' On can add iPod capabilities to your Nissan Vehicle with ease, thanks to a full line of iPod integration products for Nissan and Infinity vehicles featuing a "Sat" button. Even if your vehicle does not have a "Sat" button, we can usually add an input regardless. Speak with a salesperson or stop by to find out what is available for your vehicle!